(English-German-French text) Baden, Switzerland: Lars Mü ller Publishers, 2003, 150 pp. We are all familiar with the word “anticipation.” And we find many manifestations of anticipation in daily life. Plans, along with creativity in art and design and in the search for knowledge, are forms of anticipation. 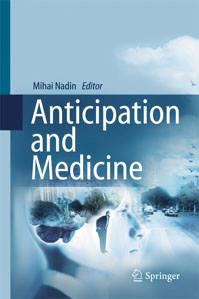 Anticipation challenges the cause-and-effect paradigm that rules in the physical sciences. Anticipation means that the cause lies in the future. This book can be ordered online.